Of course there's lots of fish in the sea, but you're the only one I'd love to catch and mount back at my place. Honey, you give new meaning to the definition of 'edible'. You should be someone's wife. 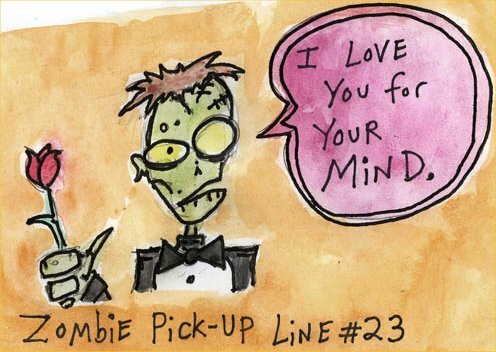 You've made me so nervous that I've totally forgotten forgotten my standard pick-up line. Is your name Gillette? ...coz you're the best a man can get. © 2019 pick-up-lines.info - All rights reserved.